After you have read this short article, you will be able to easily transfer WhatsApp messages from one Android phone to another and keep all your old chats. Our smartphones and tablets are so ingrained in our lives that it is hard to imagine not having one around. Not only are smart devices great but the data they hold is very valuable to us. If you own an Android phone, you probably have been communicating with family and friends via WhatsApp. Here is the problem, a new Android phone is available in the market and you desire to own it. 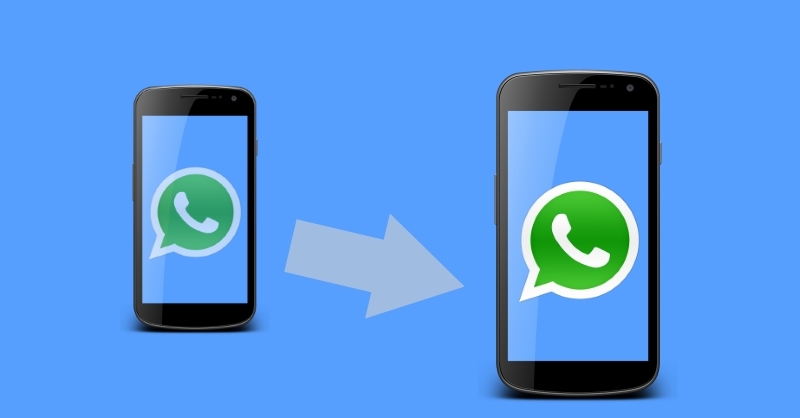 Want to know how you can transfer WhatsApp messages to a new Android phone? Here is a definitive step by step guide that explains the process without any data loss. Pay attention! This process is quite simple. Launch WhatsApp on your old Android phone, go to Options > Settings > Chat History and select Backup Chat History. To make the transfer possible, connect your old Android phone to your PC using a USB cable. Make sure you enable ”Transfer Files” from your new Android phone. Locate the folder named “database” where all your WhatsApp messages are backed up. Select the latest backup file and save it on your PC. To select the right file, find one named “msgstore” and check the date it was created. It should be the same date as the one you made the backup. Open the SIM card slot on your old Android phone, retrieve the SIM card and insert it into your new Android phone. Yes, browse Google Play Store and download the latest version of WhatsApp. Remember; don’t launch the app once installation is complete. Disconnect your new Android phone from your PC, launch WhatsApp and follow the procedure to verify your phone number. Once verification is done, WhatsApp will inform you that a new backup file has been found. Tap on Restore and let the app do the rest. That’s all! This procedure works only on the same phone number. Update WhatsApp to the latest version before backing up. Copy all your contacts from your old Android phone to the new one before installing WhatsApp. You can also save them to your SIM card. This will allow WhatsApp to recognize your contacts. Restart your phone if you don’t see your WhatsApp messages. WhatsApp developers have incorporated a feature where users are able to save their chat history, voice messages, photos and videos to Google Drive. This is an alternative method to the above procedure. For the procedure to be successful, you must use Google Drive backup which means your Google account must be activated on your new phone. To make the transfer from one Android phone to another, follow this procedure. From your old Android phone, launch WhatsApp, tap on the menu button, navigate to Settings > Chats and calls > Chat backup. Here you have two options – make the chat backup procedure to be automated or copy the history manually. Once you have downloaded and installed the latest version of WhatsApp in your new Android phone, verify your phone number and prepare to transfer the backup. If all goes well, all your messages will be available on your new Android phone.